Want to know what the most expensive purchase you will ever make will be? After a house, there is no doubt that a car comes next. And depending on the car, it might even be more than certain houses on the market in some countries today. But it isn’t only the initial purchase cost that can sink a crater-sized whole in your bank account. In a study by AAA, they found that Americans spend about $8,171 per year for car upkeep costs for a medium sedan. The average upkeep costs for a pickup truck was $10,054. Ouch! So how can a driver keep a handle on car costs without going deep into debt or blowing all their disposable income on car maintenance? 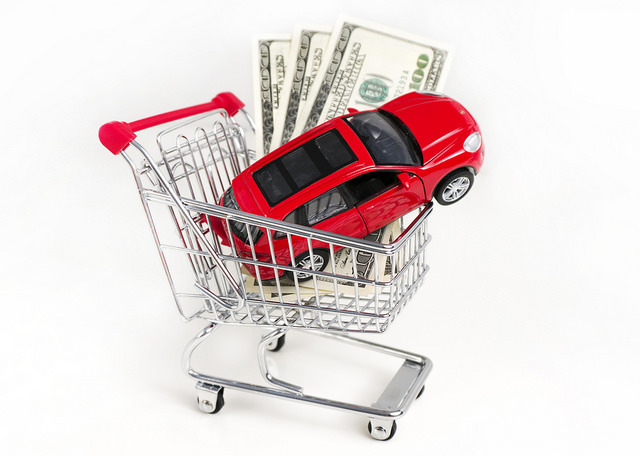 Here are a couple tips on how to handle car expenses so that you can make ends meet and still have money to spare. According to the Association for Safe International Road Travel, road crashes will cost an average of $820 per person per year in the US. What would that mean for you if you were to get into a crash today? Could you fork out that cash easy-peasy? Or would it mean a leaner month is ahead of you? Having the right kind of car insurance that gives you sufficient coverage is vital for every car driver’s peace of mind. And not all car insurance companies are equal. Shop around for an insurance plan that covers the main bases and make sure to read consumer reviews before signing on the dotted line. But have a backup plan for financing. If it is too late, and you find yourself stuck with a car repair bill that your car insurance will not cover? And then what happens if you are in a car accident where it’s not your fault? What to do then? Some companies provide auto accident loans for those who are waiting for their case to be heard in a court of law. This allows you the ability to get your car fixed, even while you wait to get the bill figured out. For those who need to commute to work by car, going even a day without a car can mean no paycheck for that day. Getting back up and running is a priority and needs to be treated as such. Always have a back up plan. Do the math and know the numbers. Do you know exactly how much you spend every month on gas? Knowing how much you spend monthly on recurring car costs will allow you to set aside for that and make appropriate money moves to keep your car running. And make sure you calculate the full range. Aside from gas, there are other fees that could knock you for a loop if you are not paying attention. These include parking bills, traffic tickets, state registration renewal, unexpected maintenance, etc. Of course, not to mention your car lease or other loan payment you have on your car. Make sure that you are aware of the monthly figures and that you set that money aside at the top of each month. Which brings us to the next point. Execute your budgeting plan, like right now. Simply stating that you will put aside a certain amount of money each month doesn’t mean you’re going to do the hard work to do it. So, before you forget, here’s a plan for you. If you have receipts from various car maintenance work that was done on your car over a 12-month period, add it all up. This number is the total of how much your car maintenance will cost next year. Next, divide that by 12, and that’s how much you should set aside monthly. If it helps, withdraw that money monthly, and put it in an envelope earmarked for car maintenance and other unexpected fees. Having it separate from your budget withdrawals will keep that money untouched and guarantee that it is there when you need it. Become a DIY-er for simple car maintenance tasks. DIY auto garages are opening across the US. Many people, fed up with high maintenance bills are figuring out how to do it themselves. And saving hundreds of dollars as a result. The more hands on you get with your car, the easier it will be to take care of some of the simple aspects of car maintenance. So if you want to go beyond budgeting for car maintenance, sit down with some YouTube tutorials and learn a thing or two about how to fix things yourself.